This is a fantastic podcast. I wish they were still recording. Hildreth Media Group does a great job - fun, professional, informative, entertaining. Great guests. Victoria, I wish I lived closer so I could hire you. I've learned so much valuable information from you. Thank you for sharing your knowledge and bringing valuable guests to the table! As a first time mom, it's necessary to hear someone say, "your baby really needs your original comfort food!" I LOVED this show - what happened? I wish I knew why they stopped recording. This podcast is AMAZING for new moms or even those who have been breastfeeding for awhile. I have a 6 month old and I still listen to shows and say, "wow! I wish I had known THAT in our first few days!" Rare encounter with media that expresses my ideals! This podcast addresses issues in such a down-to-earth and common sense way. I can't say enough good things about it. In a society where C-sections are above 30%, it's a dose of reality to hear real women talk about ways to support each other, trust their own instincts, and be informed consumers about their health and their baby's health. Great podcast as a supplement to other baby & pregnancy podcasts. Very much enjoy! As a new mom, I have learned so much from Veronica Tingzon and her guests. This podcast is great for all moms, not just first time moms. I am expecting my second child and I have learned so much from this podcast. Veronica gives great breast feeding advice and has many different types of professionals from many different pregnancy and child related fields to share their experiences and advice. The segment on chiropractic care really helped me. I had severe back pain and am now feeling better than I did before I was pregnant! Very informative! I'm the first of my circle of friends to have a child. I felt a little lost without having another mom to share breastfeeding stories with. This podcast has been wonderful and makes me feel connected to other Mom's that are breastfeeding. Before I started listening I was a little shy about breastfeeding in public, after listening I have no problem. Thanks Veronica!!! I found this podcast while pregnant with my first baby. It has been an invaluable source of information, support and ideas about breast feeding and newborn care. Thanks for such a great production! If you are already a supporter of completely natural childbirth, 100% breastfeeding, child-led weaning and co-sleeping, and if you believe these are the ONLY ways to responsibly parent, you will enjoy this podcast (although every now and then the host throws in and then ignores her own comments about not judging others for their decisions). There is helpful advice about breastfeeding here, but the dogmatic and brainwashy attitude is so off-putting that it makes it hard to really support the show. This comment definitely does NOT apply to MM&M's sister podcast: Pregtastic, which is a very helpful, down to earth, non-judgmental podcast that ends up encouraging all the behaviors that MM&M advances without being so narrow in its perspective. Wow! you can't beat veronica's credentials, she's been there. also wonderfully helpful resource for breastfeeding, pregnancy, and wonderful guests on her show! a calm voice explaining the how to's of it all. I love this podcast so much! I don't know what I would have done without it in my early days of breastfeeding. I just kept hearing Veronica's voice telling me it was going to be ok and to just keep trying. If you are pregnant, this podcast is a MUST! My husband and I are trying to conceive and we love listening to MMM. It gives us great information on numerous topics we had never thought of before. very helpful, informative advise for bottle and breastfeeding moms. This podcast provides so much valuable information for breastfeeding moms and their families. It is created with such love and provides essential information that is not easy to come across in other ways. I would highly recommend it for not only those breastfeeding now but anyone planning to breastfeed AND health care professionals that support new mothers. Please note that the host, Veronica, is very much a believer of the attachment parenting style (as advocated by Dr. Sears). If that it is not your parenting style you should still give the podcast a chance as the lactation education is nothing short of excellent. Not only is this podcast full of great information for moms and soon to be moms but it's extremely well organized and terrific quality. I wish I'd found it while I was pregnant! By far one of the most worthwhile podcasts! Veronica's podcast is a must for anyone who knows they want to breastfeed, or is on the fence about it. She give no nonsense advice and tells it like it is without the sugarcoating. I feel this podcast has been so useful that I make sure to tell all of my friends who are pregnant, and those who are thinking about becoming pregnant about it. I have also shared it with my doula and OB after they asked me how I knew so much about breastfeeding before I have even taken a class. I would also like to say that Veronica is an amazing person. While I don't know her personally, I recently contacted her by e-mail with a problem and was amazed with the personal response I received. Please keep up the amazing work! This is such a great podcast! I've been listening to this podcast since I was in my second trimester, and I continue to listen now that my daughter is 11 weeks (and growing!). It's given me the knowledge and the courage to continue to breastfeed throughout having to pump at work at 6 weeks, to dealing with the fact that none of my close female relatives have breastfed their children. I listen faithfully every week, and I wish every pregnant and breastfeeding woman would listen as well! This is a fantastic podcast focused on breastfeeding and other topics related to parenting an infant. I'm a pregnant mommy-to-be and I feel incredibly enlightend by the topics and information. I would recommend this to ANY mother of a new baby or any pregnant friend! This is a fantastic podcast. Veronica, the host, gives wonderful information. I love how she conducts her interviews, asking thoughtful questions and responding as one would in a true conversation. MMM is very listenable and informative. 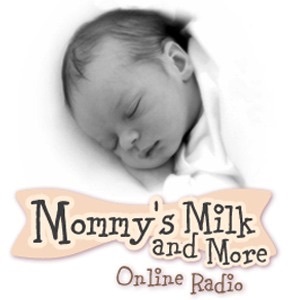 Mommy's Milk and more is one of the most helpful podcasts out there for mother's and expecting mothers. Breastfeeding has been a breeze with the help of this podcast! Thank you so much for providing such a wonderful resource!!! A great resource for breastfeeding moms! I listened to Pregtastic all thru my pregnancy and loved it... it actually helped me get through my hour long bus ride in those really uncomfortable months. Now I am back to work, and back on the bus... Mommy's Milk & More, not only helps pass the time, but provides me with lots of useful information. I am a breastfeeding mom with no breastfeeding friends or family members, and I work full time so can't attend support groups anymore -- so I really need this kind of information. In the last podcast they addressed a question I had emailed them, and it was great to hear what Veronica had to say. I have recommended this podcast to some of my pregnant friends (that I am thrilled to say plan to breastfeed) I am sure they will find this as helpful as I do. Great support for the working mom! I've been listening to MMM since the beginning and now that I'm back at work I really appreciate all the help and advice with breastfeeding. I am no longer able to attend my regular breastfeeding support group and I'm glad that with MMM I can get a little taste of that when I need it. What can I say? This podcast has provided me and my growing family with so much knowledge, insight, and practical advice. Highly reccommended..
Just wanted to let you know that this podcast is very informative and helpful. It has provided me with useful tips as a nursing mom and also tips to help others. Thank you. I was looking for something to listen to while pumping breastmilk when I found MMM. I love this podcast. Veronica is in San Diego, but her podcast is informative and useful to bf-ing moms in all parts of the country. I can't say that for some of the other parenting podcasts I have heard. I just wish I had found MMM before my three month old was born or during the first few weeks when bf-ing was difficult for the two of us. You may want to look at your titles they are way to long. You should be using only 90 characters in the title and the description.